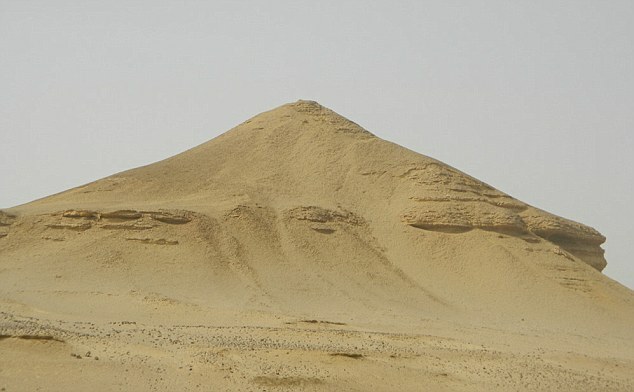 Mounds of sand spotted in the Egyptian desert using Google Earth might be the site of long-lost pyramids. American archaeology researcher Angela Micol pinpointed two areas along the Nile basin, 90 miles apart, both containing unusual shaped mounds last year. There was resistance by other archaeologists about whether her find was indeed that of unknown pyramids but now a preliminary ground study using ancient maps suggest that the location might, in fact, be correct. Micol made her discovery at home in North Carolina last year after combing images on Google Earth for a decade. She added that intriguing features including cavities and shafts have now been uncovered in a preliminary exhibition to the site, which is 12 miles from the city of Abu Sidhum along the Nile. 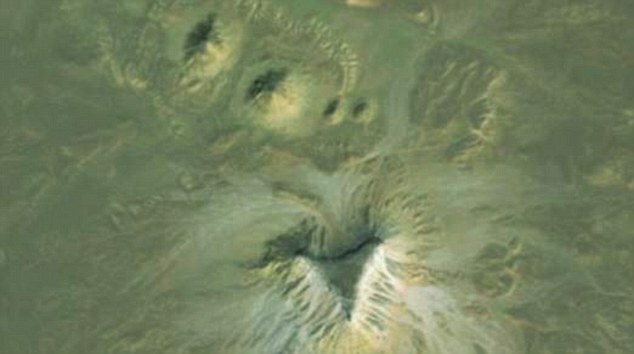 The site includes a 620ft-wide triangular plateau that's almost three times the size of the Great Pyramid at Giza. 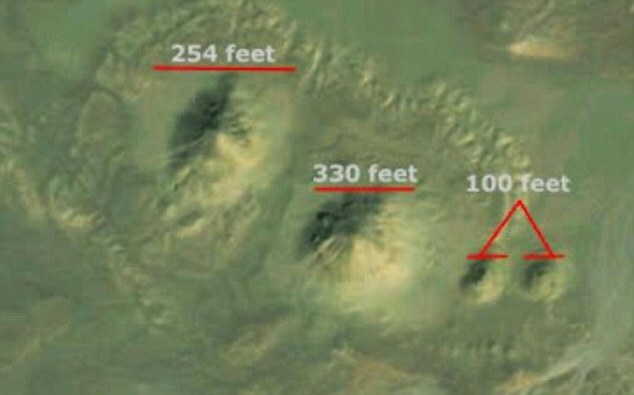 If it is genuine, it could be the largest pyramid ever discovered. 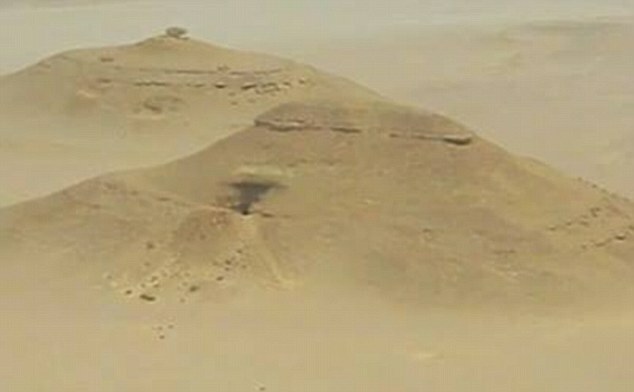 Years ago archaeologists reportedly tried to dig on one of the mounds, pictured, but struck hard stone that lead researcher Mohamed Aly Soliman thinks might have been granite. Vast: The giant triangular plateau near Abu Sudhum is three times the size of the great Pyramid of Giza. Smaller mounds found by Ms Micol still measure up to 330 feet across.